Another day closer and this morning I had a 7.15am FaceTime chat with Seth who was bright as a button and wanted to complain that Daddy was trying to get him to go back to sleep by saying it was not morning! Unfortunately Daddy slipped up when he said Good Morning to the cleaner – Seth does not miss a trick!! Seth was also very excited to tell me that he had not had one temperature over night. He had needed Oxygen throughout the night, but other than that his presentation was great! 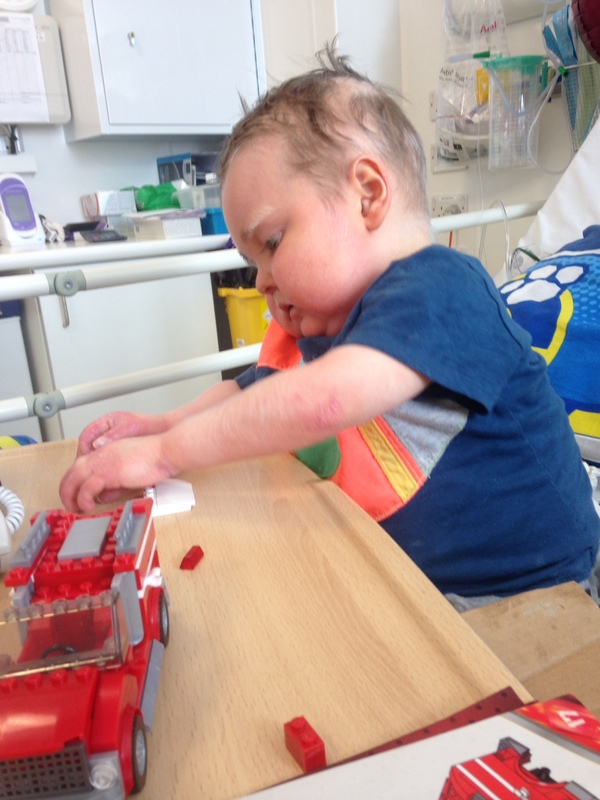 Bloods today also showed some improvement, better liver function and the infection marker in his blood was the same – so atlas it had not gone up! Today Seth has been up and about playing, making fire engines out of lego, and at one point Adventure Bay (Paw Patrol) and Pontypandy (Fireman Sam) came together to stop Teenage Mutant Turtle Raphael kidnapping Dilys (off Fireman Sam). O the drama! Paw Patrol and Fireman Sam save the day! Concentrating on the lego fire engine! AND this afternoon he declared “I am hungry” and ordered a bowl of macaroni cheese. We thought he would have one piece and leave the rest as he would normally. Nik said to him that for every piece of pasta he ate he could pull a sticker of his arm (Seth finds this very amusing!) – half an hour later he had finished the bowl!!! All finished! Get those stickers Daddy!!! So today Seth has been an entirely different child and back to his normal happy self. Who knows what will happen over the next 24 hours. But at least he has had a bit of a break from feeling rubbish today. Pulling his pretend grumpy face because he has to have a bath! Pulling Faces with Mummy and Daddy. We both got to visit him for a short time whilst Nik’s dad took Hugo for a walk. 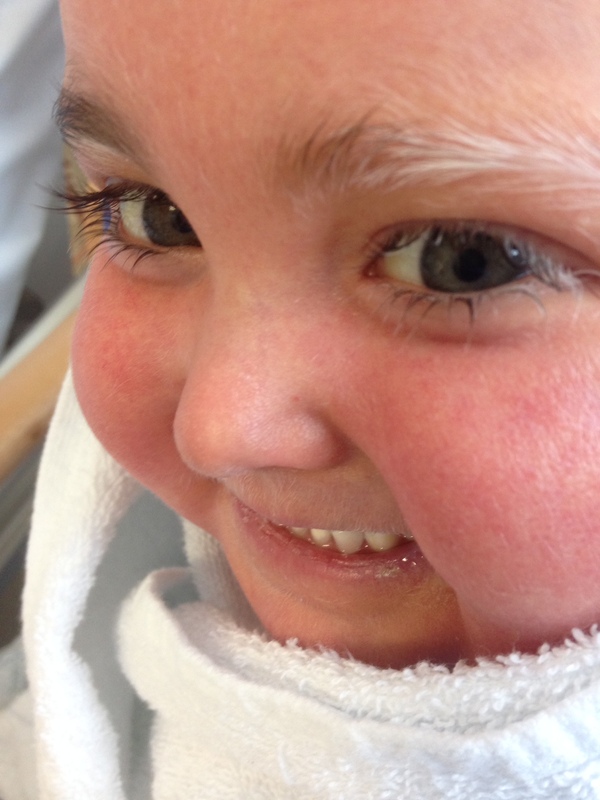 Transplant wise we are continuing with the protocol and today was day 3 of Treosulfan and day 2 of Fludarabine. 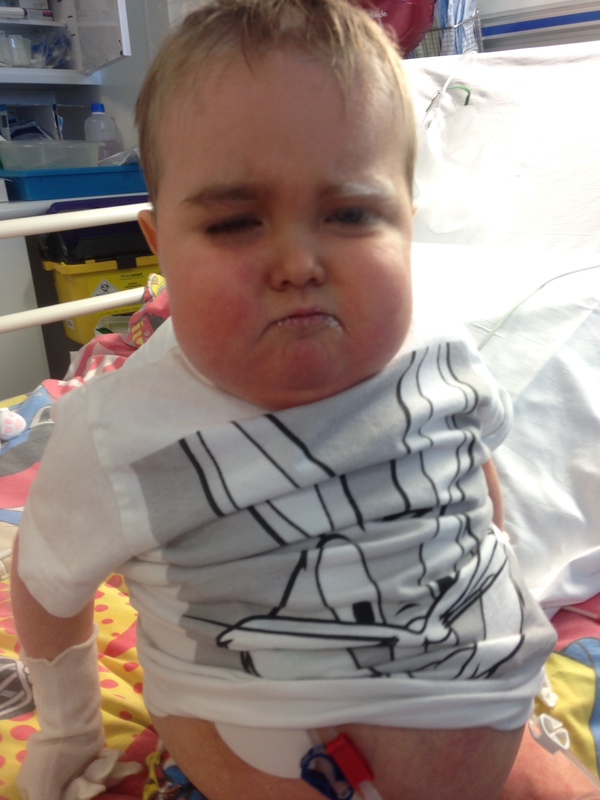 Today Nik started GCSF injections to make his bone marrow produce more cells in preparation for harvesting on Thursday. Feedback from Nik was that it stung a little….. I am sure he will cope! Now the chemo has started we are doing what we can to reduce the side effects, such as bathing him 3 times a day and making sure his skin and mouth are cleaned regularly. However, the chemo will cause sickness and hair loss among other things, which are likely to start about a week after chemo has finished. I am ok with the hair loss, it is part of the programme and it will grow back. But i will miss his eyelashes! They are amazing and i don’t know if they will grow back the same!!! praying for all of you guys way from Oregon, USA. Hope that the transplant process will be a success. 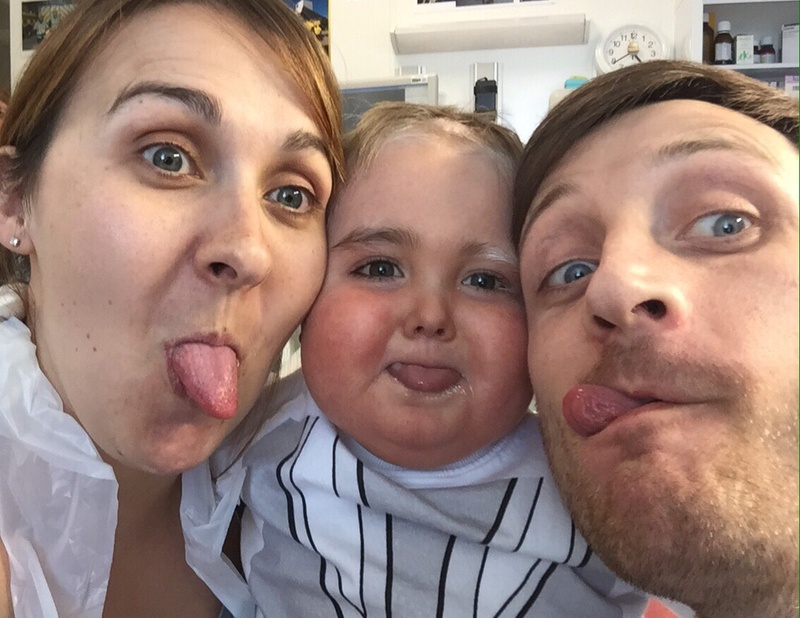 Hugs and kisses to your little hero, Seth. You all are in my thoughts and in my prayers. He is a real brave boy and you are strong… I give you a big hug from Italy! What an outstanding day!!!!!! Loved all the pics 😊 and those lashes are fantastic! My son lost his hair and lashes to chemo as well and they did come back just as wonderfully long as before and his hair as soft as a newborns! Will keep marching our support and prayers from Memphis, Tennessee to you all! 👍 and hugs of course! We’re praying for you Seth and family- every day. Thank you so much for the updates – it’s truly appreciated. Seth is such an inspiration to us all. Thank you so much for your dedication in keeping us all updated. I hope it is comforting for you as well. My grandson Weston had SCID and I must tell you I had no idea and couldn’t even comprehend the medical terminology. Years later this is helping understand a little more what the syndrome was all about. God Bless! You are doing great Seth and so are mummy and daddy! I did notice his eyelashes and his wonderfully dark big eyes the first day i saw him. 🙂 they’ll come back fine. Also, i’ve been following his progress pretty closely and something keeps telling me everything will turn out beautifully okay for Seth. Love hugs and cuddles from India. My little boy is 4 and he’s always asking me about Seth.. I keep him updated from your posts .. He really wants to play with him., bless .. He also wants to know does Seth like Ninjago? We have everything crossed for Seth and what amazing parents he has. Hello. Thanks for your message. I don’t think he knows what ninjago is?! Praying for you in Lexington, SC. Our little friend had SCID also. She’s nine years old now and doing so well. a fantastic day! Positive for Friday, thanks so much for sharing, thinking of you all. Very good day! Happy to hear these good news! Wow! I am so happy to hear Seth had a good day today. Your updates are so much appreciated as they help me with the prayer points for Seth. Be of good cheer and know that the great Physician is in charge. My prayer today is that all his treatments will yield positive and desired results and the side effects be overruled in Jesus name! I will keep praying for him. Even though there’s time difference, I hope to be praying and fasting on May 1st. God bless all of you and give you peace and comfort through this ordeal. Seth, you can beat this like a ninja! He’s the cutest thing I’ve ever seen, and those lashes! 😀 I really hope you get well soon so you can start living the life you deserve 🙂 You truly are a hero! I only wish for you guys to have more days like today to give you all a little rest & a break. Your photos are great, as I see them as captured moments that takes my breath away….just beautiful. How precious you all are. May I ask what the protocol is for nutritional support? There are many options to help you though the chemo. I am a new follower of your blog. If you want to reach out ~~ yoganncy1@gmail.com. I have done schooling in holistic health counseling and can send info your way that has supported research. Peace, and Love sent your way. Hello. 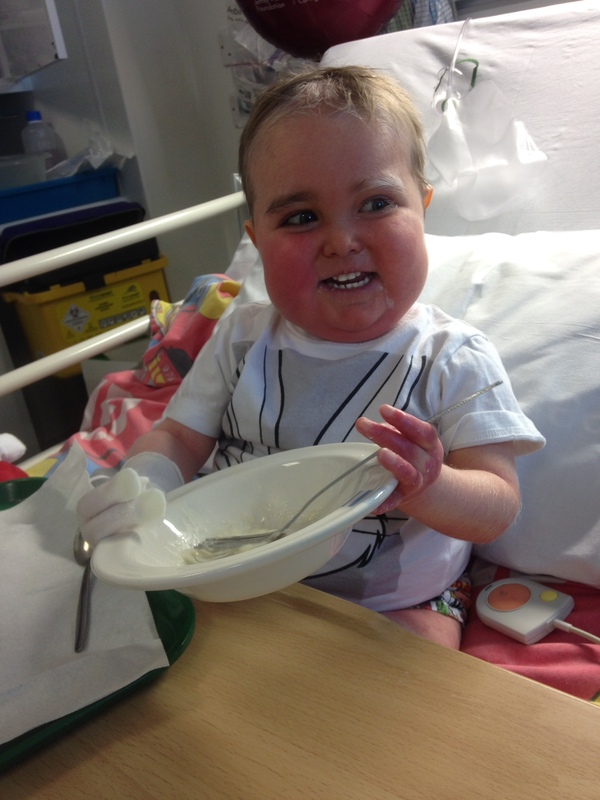 Seth is on TPN and has milk feeds of peptamine junior advance and eats when he likes – which is very rare. I work as a nurse, and I always read your posts to remind myself of the family perspective of my patients. Your blog helps me to better treat the whole person. I’m pretty sure I cry every time I read a post and admire your family’s strength. Love and prayers. Bellissimi….siete davvero bellissimi! Seth ci stai dimostrando quanto davvero vale la vita, hai tantissima forza dentro di te…sei GRANDE!!! Come dico alle mie bambine….ti MANGEREI DI BACI! Dai il gran giorno si avvicina e noi siamo li con voi! Happy to see Seth is doing well for today. It’s nice to see him all cheered up! Such a strong baby boy he is. You have many of us cheering you on to beat this battle Seth. Oh, it is so good to see him having such a great day! The love you have for each other jumps out of your photos! Stay strong, Seth, and your family, too! You are loved from all over the world! Thank you Angels for giving Seth the strength and courage he needs to continue and complete his journey!!! Seth you are an amazing Earth Angel!!! Sending LOVE, PRAYERS AND LOTS AND LOTS OF FAITH!!! forget about any loss of hair or eye leashes what ever, all of them will come back soon. think of his smile that is with you at the time!!! your photo was wonderful:)) sending my positive energy to you once again. You are the strongest family I had ever seen! Thank you so much for the updates and I’m so glad to hear Seth had a good day. He’s such a strong little guy. I am keeping him in my thoughts here in Chicago. Every day since you started the T minus countdown, I run to my computer to read your end of the day update. I slept more peacefully last night knowing that “our” guy didn’t have a temp. 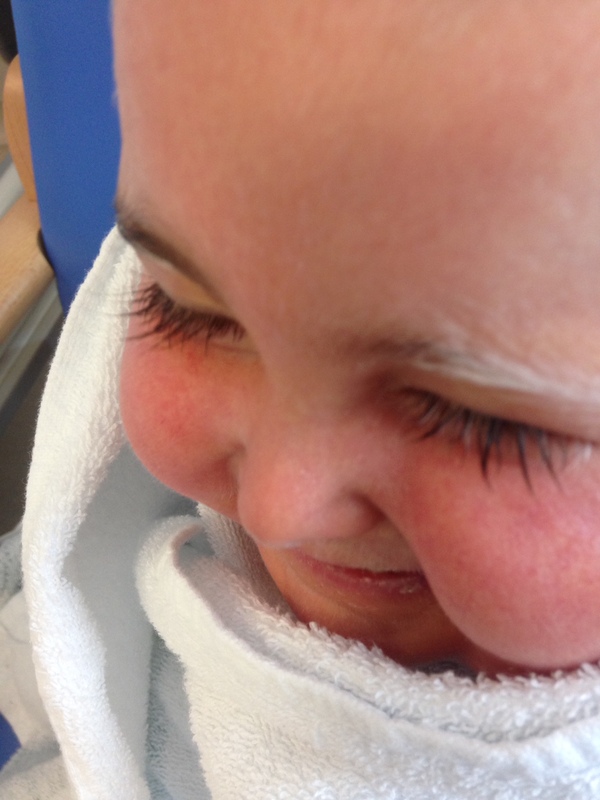 Those eyelashes are beyond amazing and I bet they will grow back just as beautiful!!! Seth will be beautiful no matter what. Again, thank you and God bless for all of your postings. I am looking for the “perfect” yellow to wear on Friday. My husband will be wearing it as well. Love and hugs to you all. Keep the Faith. Seth, you are the light at the end of a day!!!!!!! What an amazing little guy. I adore him, and the love that you express. Hugs and kisses! You Are amazing parent to a truly remarkable little Boy. I hope and Pray the second transplant works for you all. Good luck Nik and Seth. Thinking of you all. 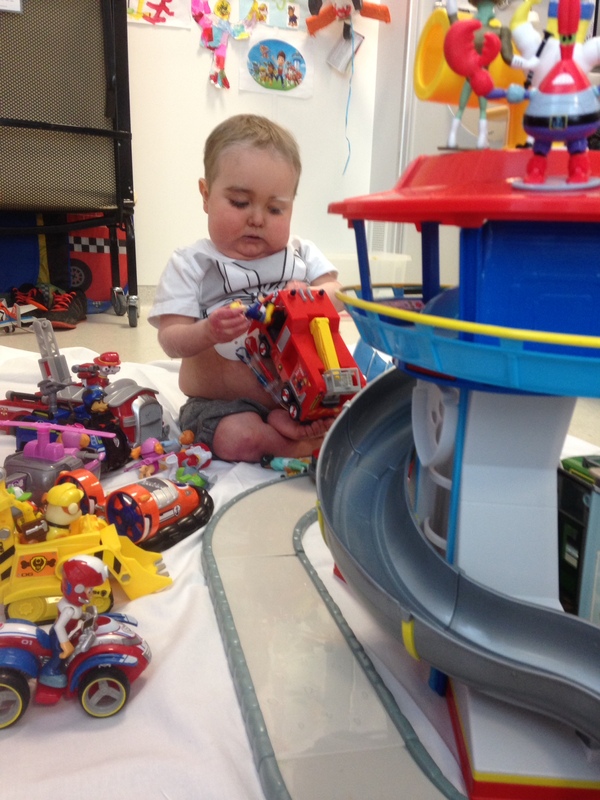 So so happy to hear Seth had a fun day–your little man deserves a lifetime of them! Praying for continued goodness for him. Hi Seth, It’s me again, kathy from Canada…I Love the pictures that your mom posted today…My boys love macaroni and cheese too, they would eat it everyday if they could. We still have snow over here, but it’s almost gone thank goodness. It’s been raining here for the last 4 days, I can hardly wait for a day of sunshine so I can clean up the mess outside. Your looking great I see, I like the picture of you and your mom and dad all sticking your tongues out, that is really funny hahahaha, it made me laugh. !!! I hope you have a FUN day today.!!! Keep Smiling that Great Smile of yours !! !